Fall Festival is always a fantastic community building event and this year did not disappoint. It was all made possible by the hard work and vision of our Fall Festival Chairs, Miranda Fitzgerald and Desiree Terian. We can’t thank you two enough for your dedication to our school and the hours of planning and work you put into this amazing family event! The amazing rides, delicious food choices, fun games, and creative booths gave families so much to enjoy. The auction baskets were beautiful and packed with fun, unique, and useful items, thanks to the generous donations from parents and the collection efforts (and basket assembling efforts!) by the hardworking Room Parents. The auction baskets were organized by Suzy Cooper and Karen Spearrin this year and they both did a fantastic job raising over $7,500 for the PFC. THANK YOU!! Thank you to all of our families who helped with Fall Festival – by donating to the class baskets, contributing sweets for the popular Sweet Walk, running booths, helping set up and dismantle, sponsoring stations, and attending. All your combined efforts made this into a memorable day for everyone! October was full of fun Restaurant Nights, culminating in Chaparral Day at The Commons which was a full day of dining and reading at The Commons. A BIG thank you to Mrs. Cioffi, Mrs. Mulholland, Mrs. Napier, Principal Brazell, Ms. Gerber, Miss Gourley, Miss Regina, Miss Ryan, Mrs. VanDyke, Mrs. Baldwin, Mrs. Shipow, Mrs. Lampert, Mrs. Otis, Mrs. Ekizian, Mrs. Weber, Mrs. Seidman, Mrs. Davis & Mrs. Thibodeau for participating in reading to the kids at Barnes & Noble. The kids (and parents!) loved seeing you outside of school, reading beloved books with such energy and humor. We are truly fortunate to have such caring teachers who give their time to support our school outside of the classrooms. Thank you to Laura Berlant and Emily Stearn for your hard work organizing so many exciting community-building and fundraising events all month long; and thank you to the many Chaparral families who came out to support our Restaurant Nights and Commons Day. 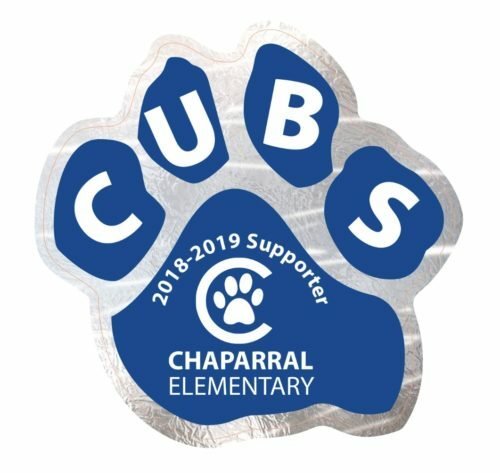 Be sure to include the #chaparralcubs when you post pictures. So fun to see all the families out supporting our school. Our Wellness team had a busy month with Walk to School Day and Red Ribbon Week. Thank you Jennifer York for coordinating a fun morning for kids and parents to walk to school. Walking to school is a great way to spend a few extra minutes with your kids, get some exercise and ease the burden on the Drop Off Lane. Please try to look for other days to walk to school with your kids. Red Ribbon Week was a success thanks to Mairead MacMullan!! This year’s theme was LIFE IS YOUR JOURNEY, TRAVEL HEALTHY. The goal was to facilitate talk within families about ways to stay healthy in body, mind, and heart. 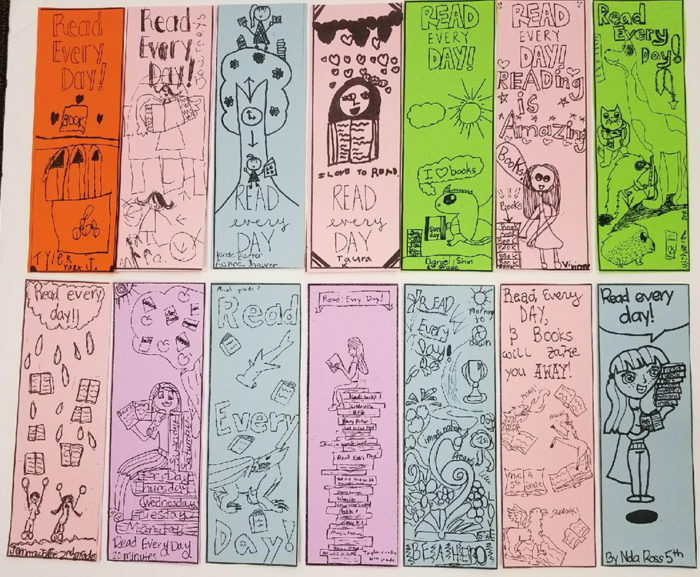 We hope you had a chance to read the healthy pledges that the staff and students hung up around campus. Thank you to our Wellness Chair, Maria Nicolacakis, for leading the charge towards healthy choices! The Enchanted Forest Book Fair, organized by Jennifer York, is coming to the Chaparral MPR November 9-16. Save the date for the ever-popular “Draggn’ Dads to Donuts on November 9th at 7am. Get all your holiday shopping done at Chaparral’s eagerly anticipated Holiday Boutique which takes place 7:30am to 4:00pm on Thursday, November 29 in the MPR. Boutique Chair Sadie Novello is bringing back your favorite vendors and many new ones. Shop for clothing, jewelry, purses, food items, holiday gifts, and more. Teacher wish lists will be available. Look for Restaurant nights at Rosti and Fresh Brothers! Please feel free to email us at chaparralpfc@gmail.com, or stop by the PFC Office during our office hours on Monday and Thursday mornings. Congratulations to the following classes for reaching 100% participation in the Donor Drive and winning a pizza and ice cream party: Ms. Gourley and Mr. Ross! THANK YOU to all the Chaparral families who donated. A BIG THANK YOU to our Donor Drive VPs, Amy Gray and Susan Harrison, who have tirelessly worked many hours to ensure the success and smooth execution of our biggest fundraiser of the year for the past 5 years!! 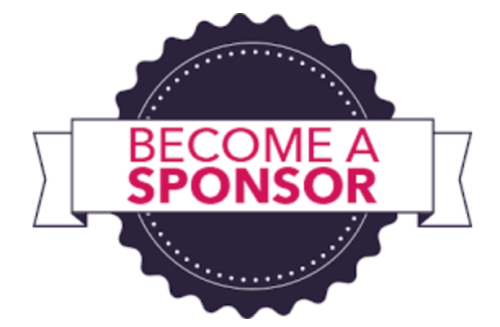 If you have not donated yet, you can still go to SchoolPay.com and make your tax-deductible donation at any time or contact Amy or Susan for more details. September was full of FUN- and FUND-raising activities. We are grateful to our volunteers for their hard work and dedication to Chaparral. Thank you to our Community Fundraising VPs, Laura Berlant and Emily Stearn, for their amazing work organizing ongoing restaurant nights and coming up with creative ways of making community fundraising fun with Box Top contests and Ralph-les! Our first ever Pancake Breakfast was huge success with almost 100 tickets sold. Please continue to support the school during future restaurant nights. Thank you to Beth Anson who did an amazing job organizing our beloved Movie Night! Thank you also to those who helped out at the concession stands and cashbox, and to our sponsors. It was wonderful to see families relaxing and enjoying the movie, and kids with creative glow stick accessories dancing the night away. October is moving just as fast as September did. Mark your calendars for our exciting Fall Festival scheduled for Sunday, October 28, 11:00am to 4:00pm. Desiree Terian and Miranda Fitzgerald are working hard planning a fun day. In-N-Out Burger, exciting carnival rides and games, a pumpkin patch and our famous silent auction are just a few of the reasons you won’t want to miss the, most anticipated family event of the year. Look for Pre-Sale tickets including Early Bird Specials ON SALE NOW at SchoolPay.com. Save big by buying early. We look forward to seeing you all at the next PFC Meeting on Wednesday, November 7 at 8:15 in the MPR. Please email us at chaparralpfc@gmail.com with any questions or stop by the PFC Office during our office hours – Monday and Thursday mornings. And, a special thanks to the many volunteers who sacrificed several hours on the last day of summer break to help Registration for grades 1-5 run so smoothly. We are truly grateful! Amanda Madnick, Amy Gray, April Baer, Ben Abadian, Deb Shapiro, Desiree Terian, Emily Stearn, Erica Salisbury, Gloria Yoo, Grace Fischer, Jessica Nedick, Julie Berkus, Kim Becker, Kristy Scott, Laura Berlant, Lindsay Vaisman, Lisa Dumke, Lisa Opolion, Meredith Sesser, Mira Rocca, Richelle Blanken, Sadie Novello, Suzy Cooper, Sybil Berman, Allyson Watson, Beth Anson, Erin Mayer, Ghazal Hafizi, Joanna Cooper, Julie Gesas, Kate Haney, Minoo Rostami, Miranda Fitzgerald, Susan Harrison, Susie Ming, Toni Edwards, Ann Park, Chrissie Hand and anyone we inadvertently missed! Last but not least, a big thank you to Donna Welti in the Main Office for supporting our numerous requests for data and Jim McHorney for repeatedly transforming the MPR and other areas of campus to support our events and programs. We couldn’t do it without you. Please stop by the main office to meet the newest member of the team, Sharon Anderson, we are lucky to have her back at Chaparral! We are excited to announce the roll-out of our online directory. 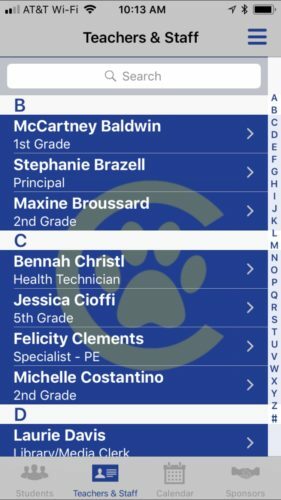 Please make sure you download the DirectorySpot app on your computer and/or phone so you can take advantage of this easy-to-use directory. Special thanks to Susie Ming, Directory Coordinator, for implementing the directory so smoothly. Donor Drive is ON and the competition to get to 100% participation is heating up! Any class that reaches this milestone by September 30 gets a free pizza and ice cream party. Last year, we had 85% participation – let’s make it 100% this year! Please go to SchoolPay.com and make your donation now. For more information, click here. Thank you to Amy Gray and Susan Harrison, Co-VPs Donor Drive, for all of their hard work executing this crucial drive. Please make sure to donate $10 (per family) to our Disaster Preparedness Fund on SchoolPay.com so we can ensure we have sufficient supplies on campus in case of an emergency. We had an amazing turnout for our first PFC Meeting and Coffee with the Principal this week. Let’s keep up the momentum! 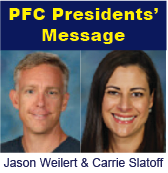 Please mark your calendars for the next PFC Meeting on Wednesday, October 3 at 8:15 am in the MPR. Please feel free to email us at chaparralpfc@gmail.com with any questions or stop by the PFC Office during our office hours – every Monday and Thursday mornings! We look forward to hearing from you! 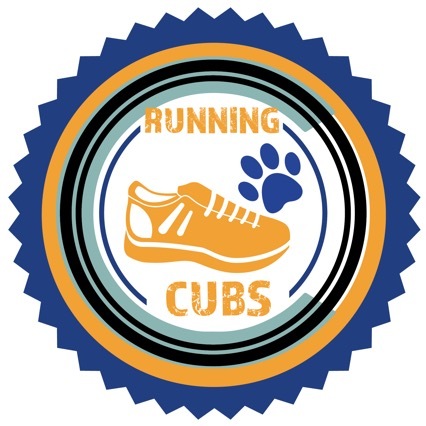 Please join the Wellness Committee for Running Cubs at 7:30am every Wednesday morning on the Upper Yard. Students in grades 1-5 are invited to run laps. We track the cumulative distance run and give annual awards! Remember your water bottles and running shoes. Questions? Please contact Maria Nicolacakis. We just finished the last of our spring events focusing on philanthropy and well-being. Many thanks to Ben Abadian, Melissa Devor, and Maria Nicolacakis, for all of their hard work organizing these meaningful and engaging events. The third annual Soles4Souls Shoe Drive was a huge success! We donated over 400 pairs of shoes. Thank you for your generosity! Our participation in the Family Rescue Center Clothing+ Drive was also a huge success. Many bags of clothing were donated by Chaparral families. Thank you to Ben Abadian for all of his hard work collecting the bags and making sure they got to their destinations. Students enjoyed a morning of high impact fun and exercise at the “Hoop It Up Kids” Assembly. Thank you to Melissa Devor for organizing the assembly (and other ones throughout the year) for Chaparral! The PFC purchased a set of the special hula hoops for Chaparral so our kids could enjoy them year-round. Students got their groove on during MovaPalooza! 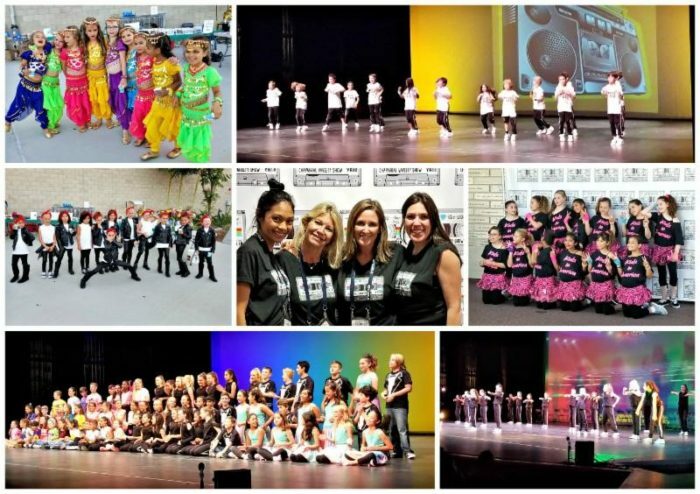 dancing, doing yoga, hula hooping, obstacle course racing, and more! Thank you to Maria Nicolacakis for organizing such a wonderful morning for the kids. Last but not least… the Farmers Market Jamboree was another huge hit! Students, parents, city councilmembers, district office and school board members, and many other community members came to the event. Attendees purchased organic produce and products, did crafts, sang, planted seeds, wrote poetry, relaxed with baby goats and bunnies, and learned about wellness while listening to the soothing sounds of our very own “Mama Bears” band. We were honored to have Howard and Whitney Schwartz (former Chaparral parents) return to emcee the event and host the Green Team booth. Thank you to Maria and her tireless committee for their incredible vision and execution of this fun and educational event!! We are speeding towards the end of the year but still have a few important events coming up. This week is Staff Appreciation Week. Thank you to those families who signed up to donate dessert and drinks for the Staff Luncheon on Wednesday, May 9! This Wednesday is also Flower Day, so don’t forget to bring stems for your class bouquet. We hope you can join us at our popular Ice Cream Social. New this year – we will be selling pizza at a nominal cost of $1 per slice! We will also have Sports N More coaches facilitating fun games for the kids and the Grossman Club hosting a crafts table. We will once again feature a full ice cream bar with toppings. This free event is our way of saying THANK YOU to all of our dedicated families. May 16 (J/K-2) and May 17 (Grades 3-5) on the Upper Yard. The Teachers and Staff cordially invite all parent volunteers to the Volunteer Appreciation Breakfast on Wednesday, May 16 in the MPR, 7:45am-8:30am. It is such a special event – don’t miss it! Open House is Wednesday, May 23 and the food trucks will be back! Come early and enjoy dinner and dessert. We have lined up Hang 10 Tacos, Fries N’ More, Hungry Nomad, Jersey Dogs, and Uncle Chris’ Italian Ice. 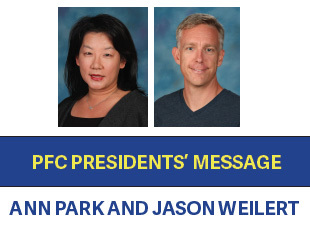 The last PFC Meeting will take place on Friday, June 1. We hope you can join us as we install our new 2018-19 board. A special invitation goes out to all of our graduating parents so we can thank you one last time for all of your hard work over the years. Finally, we would like to take a minute to thank a few behind-the-scenes volunteers who quietly put in countless hours year-round to support PFC operations and ensure our success. We couldn’t do it without them. 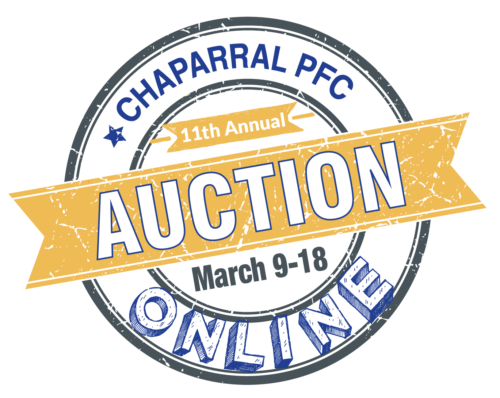 Thank you all for your continued support of the PFC and Chaparral! We are looking forward to a strong finish to the school year!! 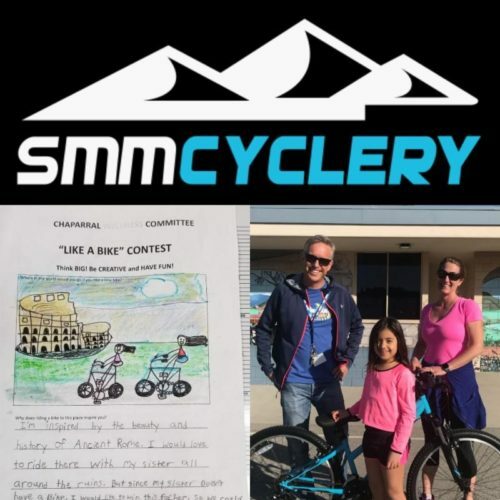 Last Wednesday at the morning assembly to kick off Wellness Week, we announced the winner of our Like A Bike Contest. One lucky 3rd Grader from Mrs. Yollis’ class won a brand new bike. Thank you David Kooi and the entire Santa Monica Mountain Cyclery team for their continued support of the Chaparral Community. Wow, another year and another amazingly successful auction! 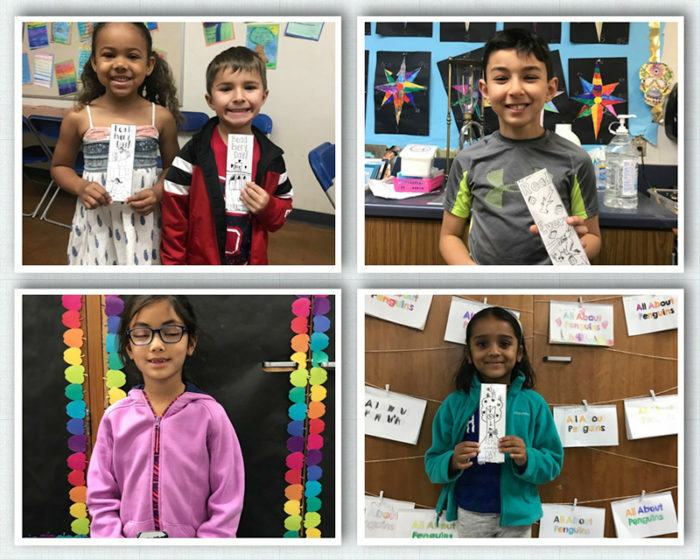 We raised $94,000… all of which will go to fund specialist (Art, Music, and PE) salaries and supplies, classroom supplies, furniture and technology upgrades, instructional assistants, and campus supervisors for the remainder of this school year. This success would not have been possible without the amazing committee of volunteers who dedicated so much of their time and energy. I would like to thank my “walkers”, the people who pound the pavement with targeted local lists asking restaurants, stores, and other businesses for donations: Michelle Freedman, Susan Ng, Roza Woods, Sherry Shirk, Dayana Kling, Erica Salisbury, Grace Fisher, Melyssa Peters, Minoo Rostami, and The Kim Burns. A big THANK YOU to my “inputters”, the people who dedicate months of their time entering items into the Bidding for Good online catalogue: Allyson Watson, Jessica Nedick, Kelly Greene, Lisa Dumke, Laura Berlant, Sherry Shirk, and Shirra Hever. Thank you, Lisa Opolion, for taking care of email solicitations. Those amazing camp items would not be there if it weren’t for the awesomeness of Stacy Dishlip and Sherry Shirk – thank you! Thank you to April Baer and Sara Traband who helped with everything digital from logo and flyer design to laying out the Acorn ad. To those who have helped with fulfillment and shipping, you have my unending appreciation: CarolAnn Braun, Stacy Dishlip, Kelly Greene, Roza Woods, Ann Park, Jason Weilert, Jessica Nedick and Allyson Watson. Special thank you to Allyson Watson who was not only the MOST AMAZING “party coordinator”, but also pretty much my co-chair, devoting the majority of her time since September working with me on this fundraiser. Thank you for being my “partner in crime.” I could not have tackled this without you. Special thank you also to Jessica Nedick, the ultimate master of the auction. A million thanks for taking over the marketing aspect of this auction, and assisting with all the nuances of this job. 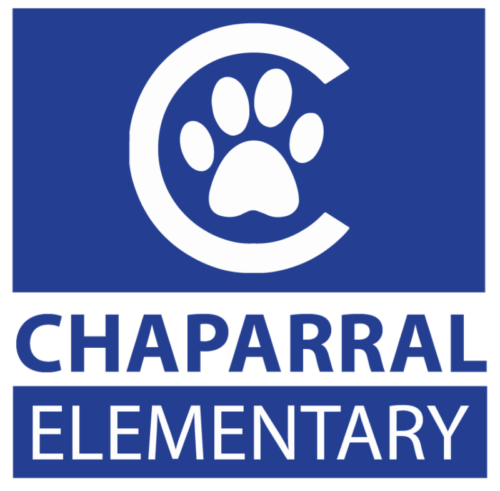 I would also like to thank all the Chaparral parents who donated items from their own businesses and those who solicited items…your contributions are much appreciated. 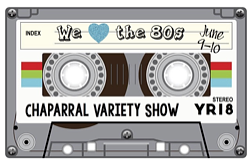 I would like to thank the Chaparral teachers, specialists, and Principal Brazell for donating their time and creativity to provide Chaparral students with fun and memorable experiences. Thank you so much to Donna Welti and Brenda Shearer in the Main Office for fielding all those auction letters, packages, and phone calls. Finally, thank you to all of our bidders!! Click here for information on when to pick up items.